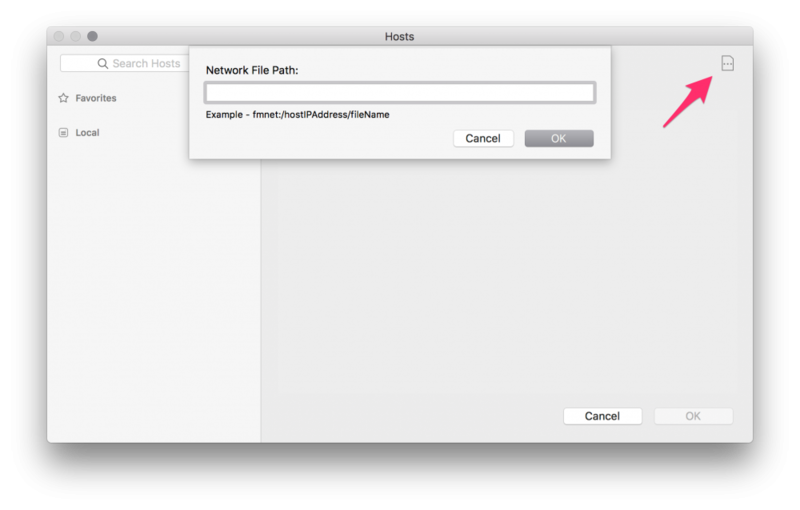 In previous version of Filemaker I've been able, in the relationship graph, to 'add a Filemaker data source'. 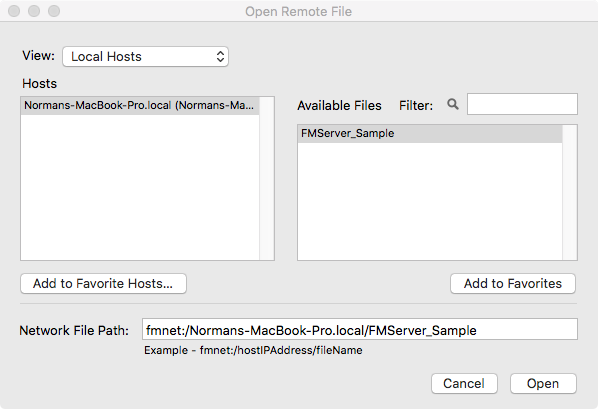 The dialogue, as in the image, after clicking 'Remote' showed only the 'principal' Filemaker file but I could replace the name with the file I sought to add manually. Now, with FM17 I no longer have this option. So, how do I add another of the served files as a data source? For 17, when you click "Hosts" ( renamed from "Remote" ), you will get the Hosts window. In the upper right, is a document icon with "...". Click that. I knew if must be simple but I actually searched for answers for quite a while.